Born in Youghal, Co. Cork in 1938, Sr Maura was the fourth of nine children, born to Patrick and Jane Lynch. Patrick Lynch worked for An Post and with each promotion was transferred, so the family lived at various times in Youghal, Carrick-on-Shannon, Killarney, Tralee and Limerick before finally moving to Dublin. Their mother was a teacher and the family spoke Irish at home. Sr Maura joined the Medical Missionaries of Mary at 17 after doing her Leaving Cert, trained as a doctor in UCD, and came in the top three in her graduating class in 1965. After an internship at St Vincent’s Hospital she went to London and took a Diploma in obstetrics and gynaecology at the Royal College of Obstetrics and Gynaecology there. She went on to Lisbon where she studied tropical medicine and learned Portuguese, as it had already been decided by the Missionaries that she was going to Angola, a Portuguese Colony. She arrived there in 1967 and carried out clinical work at the 200-bed Chiulo Mission hospital. Her clinical work concentrated on obstetrics and paediatrics and there was a large cohort of patients with TB and leprosy. After 17 years there, she realised there was a great need for more specialist surgery, so she returned to Ireland in 1984 and at the age of 46, began training as a surgeon at the Royal College of Surgeons in Ireland. She signed the Register of Fellows of RCSI as ‘Mary Lynch’, 3rd July 1985. After another two years in Angola Lynch was reassigned to the Kitovu Mission hospital in Uganda, where she would remain for the next thirty years. Pioneering work in obstetric fistula repair, won her the reputation as a champion of impoverished African women. It has been estimated that she was responsible for conducting over 1,000 vesicovaginal fistula repairs between 1993 and 2007. 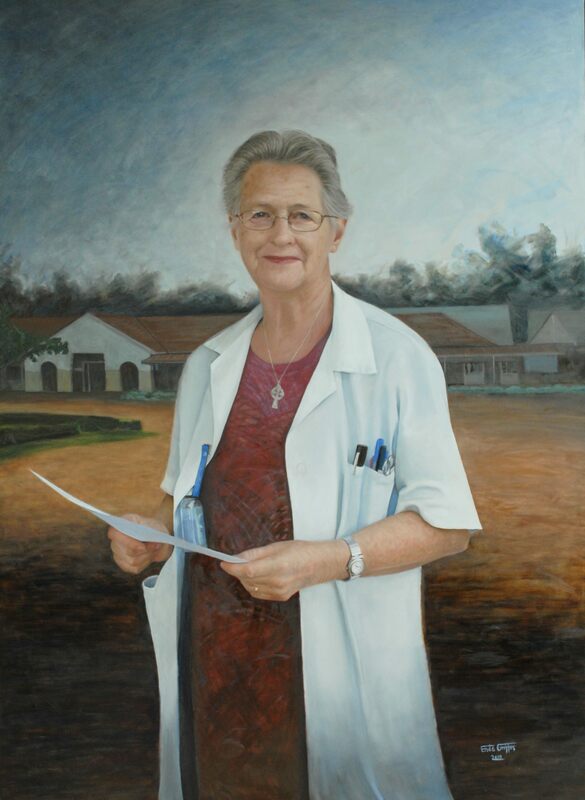 A founding member of the Association of Surgeons in Uganda, Sr Dr Maura was passionate about passing on her knowledge, and she pioneered innovative training programmes in obstetric fistula repair for Ugandan doctors and nurses. She fundraised and helped secure an obstetric fistula unit in Kitovu Hospital, which was officially opened in April 2005 and received special recognition from the Ministry of Health in Uganda as the first such training centre in Uganda. Sr Dr Maura received many honours from the Ugandan government, including a unique Certificate of Residency for Life in recognition of her contribution to the health and welfare of its citizens over three decades.